Having a house next to the ocean is a dream come true for many homeowners in Hawaii. Once you are fortunate enough to achieve this goal, you will want to pay special attention to your yard, as the salt air, wind and soil can be challenging to growing plants. With proper landscaping and the right kind of plants, your yard can be an excellent complement to the ocean-side elements. After all, a large part of the reason to live next to the ocean, especially in Hawaii, is to be outdoors, and your landscaping becomes a part of the aesthetics of the ocean-scape that is outside your door. 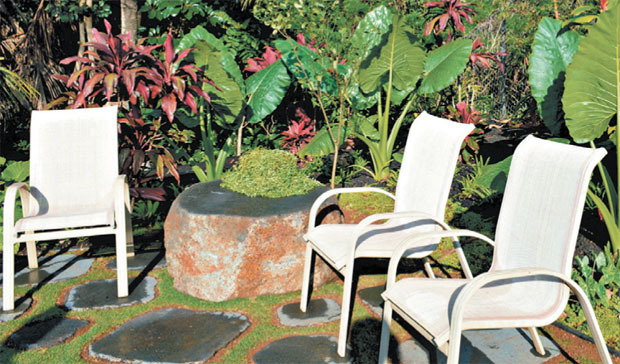 Designing a landscape next to the ocean takes into account many factors, including whether you are on the windward or leeward side of the island, the direction and consistency of the prevailing winds, the amount of rainfall, how close to the ocean your house is, the amount of sand mixed in with the soil and even lot size. Depending on the direction your home faces, one side may need saltwater tolerant plants, while the other side may not, so it’s best to have a varied landscape that fulfills the requirements for each section of the yard. Even if your house is not directly on the beach, but is set back across the road, or even further back, salt air can have the same damaging effects on non-salt-resistant plants. To help with sandy soil, add a sub-soil of 60/40 mix. Balancing the soil with nutrients and a compost mix is crucial for beachside homes. For windy areas, include plants that are hearty and will not uproot in the wind. Heliconia and bananas can be planted only if they are layered with other plants that provide wind protection. There are many kinds of grasses and plants: some are saltwater tolerant, others are not. Celebration Bermuda grass, for example, is a hardy and tolerant grass that can grow in a variety of environments, including sandy soil and drought conditions, but cannot come into contact with saltwater. LanaiScapes can create drawings that will layout the specific needs of each area of the property. In addition, the company provides specs and cost estimates. Its staff can give you expert advice that will help you take advantage of the natural features of your environment, such as rainfall amounts or what grows best in your soil. By analyzing the particular conditions on each side of the house, LanaiScapes can make a plan that will accommodate the seaside environment and assure maximum results for your efforts. 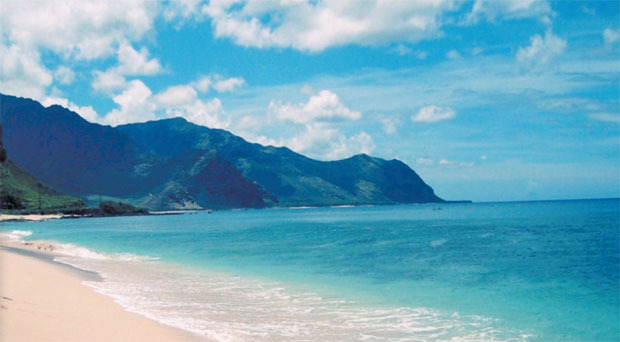 LanaiScapes prides itself on being knowledgeable about different environments in Hawaii. Its employees can help you make the best decisions by showing you the practicality, as well as the cost of each of the many options. The company’s goal is to create smart landscaping that will not only work the best for your environment, but will bring the most personal satisfaction to you.